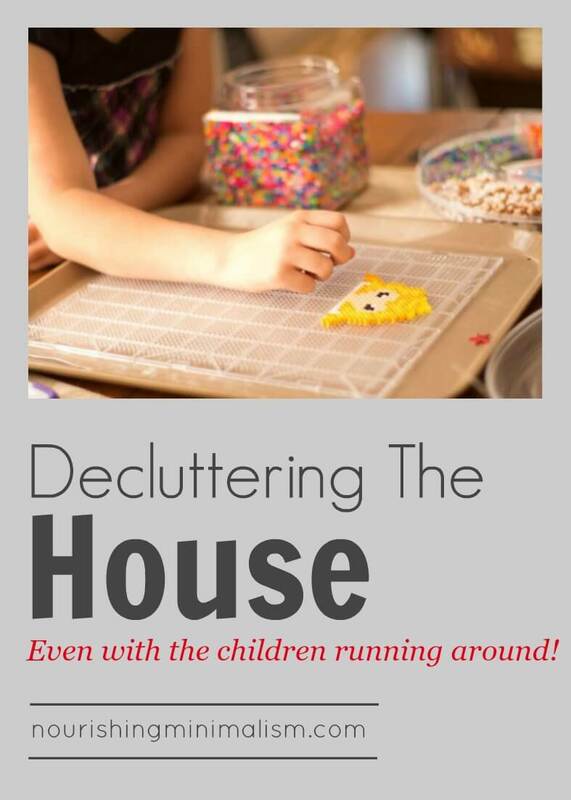 It’s important for children to see you decluttering, to learn how to do it and what the results are. Certainly there are challenges, anything we do with our children means it’s going to take longer, either while wrangling them, explaining things to them, or showing them how to do the task. Parenting takes time and determination. But it can still be done! When decluttering the house, I always recommend people start in the kitchen. As parents, we are there most of the day anyway, right?! I can’t even count how many times a day I have to tell my toddler, “Close the fridge.” “No, you already ate a banana.” “Wait for lunch.” …etc. etc.! If you have toddlers around, keep them busy throwing things away. Since I don’t let my little ones play in the trash. Oh, yeah, that’s another thing I say regularly: “Get away from the garbage!” My almost 3 year old loves throwing things away. It keeps him busy all day long. It’s really quite fun for both of us, as I walk through the house I’ll hand him scrapes of paper or misc. odds & ends and say excitedly “Go throw this away!” And he will, with great gusto. 🙂 Oh toddlers, why do you have to grow out of that stage? So much joy in the simple things. This of course, is only one personality out of many. I have 6 children… we’ve had a lot of personalities and preferences in our home through the years! The older the kids get, the more creative one has to be to get work accomplished. Entertain & occupy or involve. Everyone has different things that will hold their attention, so think about the times when you’re child was happily occupied for 15-30 minutes where you could focus your efforts without interruption. Plan and activity to do with them first. 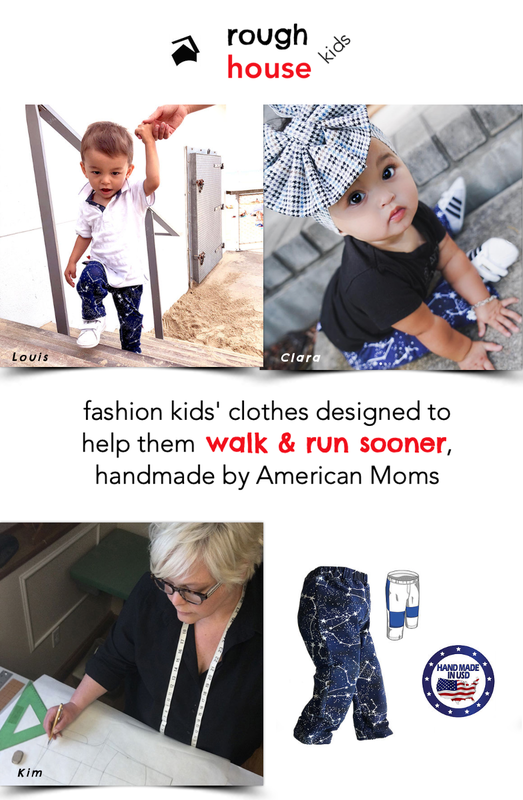 This can be anything from taking them to the park, to playing a game of UNO. So often we have “mommy-guilt” if we ask them to occupy themselves while we work. If you can spend some quality time with them first, you can know for certain that you have taken time out to be with them, so they are not neglected and then you can focus on getting a task completed without feeling any of that toxic shame. Quiet time ritual. After my children stopped napping, I found that they still needed some time to themselves during the day. This is always approached as a happy time, never a punishment. If you have separate rooms for your children, they can go in their room and play or read and if not you can get creative: Blanket time works well for small homes: the child lays their favorite blanket on the floor, gets whatever toys or books they want, and stays on their blanket playing quietly for that time. Another method is having different stations or zones set up in the playroom, this works great to have a small area rug in each space so their is somewhat of a border. Similar to many preschools and kindergarten classrooms, where there are different toys in each space: kitchen, building, books, crafts, etc. If your children are new to quiet times, start with just 5 minutes in a quiet time and build up. Movie Time. I don’t like relying on TV to babysit, but if it means I get something done that has to be done (shower, dishes, cooking…) I will take advantage of it. Because we don’t have a lot of screen time in general (possibly 2 hours a week) my kids completely zone out when the screen comes on. For my children, it doesn’t matter what it is, they will be glued to it. When I really need to focus and get a job done, I will do it. 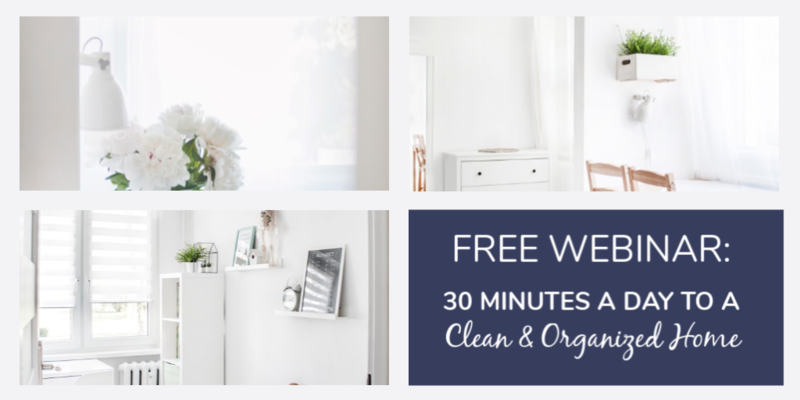 Even if you only rely on this once a week, decluttering for that 1.5 hours a week is going to add up. Yes, it takes time, but happening slowly is better than not happening at all. Have friends over. This completely depends on your children and the friends, but if you know there are friends that get along well with your children and don’t need constant supervision, then this is a great way to occupy the kids while you work in another space. We have a neighbor 2 houses down that the kids play with, and when she is here, they all (even the toddler) will play in the bedroom for hours without needing me to referee. I’m generally within earshot, but they are so distracted, I’ve been able to focus my intentions and get a lot done in that 1-2 hours while they play. Craft Project. 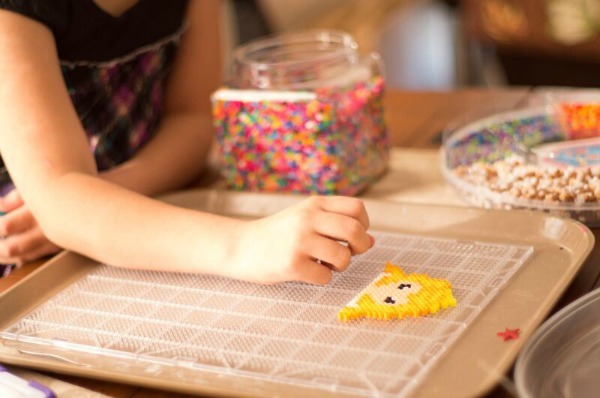 This would only be for the independent working child who loves to craft. Set up a space at the table with everything they need and let them create to their hearts content. For my older kids, I can hand them a book with directions, for my toddler, I can give him a sheet of stickers and a piece of paper, he will sit quietly for a good 20 minutes putting the stickers on paper. By the end, he’s so pleased with his work of art and wants to display it. Decluttering. This certainly depends on the child, personality and temperament, but some children can be quite entertained putting things in the giveaway box and marking the correct amount of check marks on the decluttering chart. Organizing. Many kids love putting things away and making the space look nice. I have children that will arrange by category, size or alphabetically and they enjoy seeing what they can accomplish. While this reply is way late, thank you for adding me. I have been doing okay with my sorting but could do better and a bit quicker! good suggestions are welcome. I’m so excited to read this! Yesterday I spent much of the afternoon cleaning and decluttering my daughter’s room with her. SHe was able to evaluate a lot of her things; she discovered some she forgot she had (and still wants to play with) and other things in which she has lost interest. Working together allowed us to talk without her feeling pressure. I love your tip for younger children, to play with them first and work on your chore second. I read a book about children needing their “bucket filled” so they can work and play independently.